First developed and introduced by Navy Seals, it has spread into the circles of professional athletes and gyms. 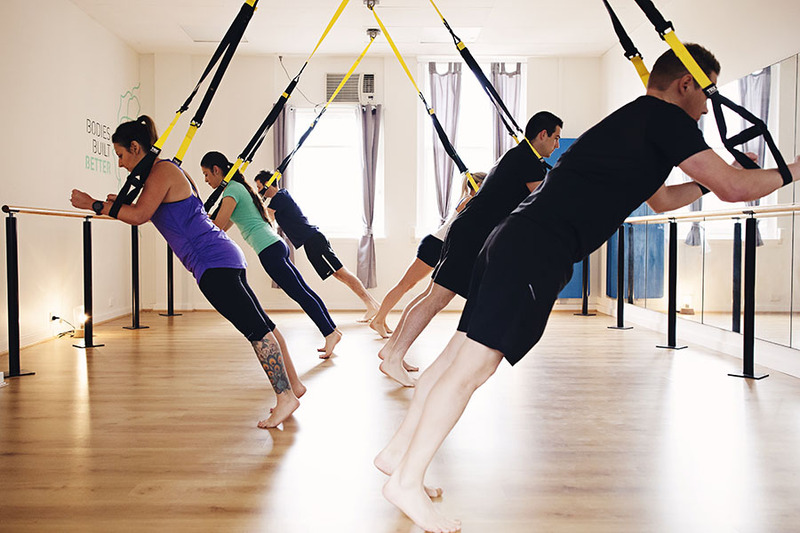 TRX is a suspension training program using bodyweight and utilizing gravity and movement to improve stability, strength, flexibility and balance. The intensity can be individually modified by adjusting the body position, which makes it a great workout for people at any fitness level. Recognize where your body is at that day and train accordingly. Due to the balance aspect, TRX training is an all body workout and strengthens the stabilizing muscles with every move. TRX is suitable for almost everyone. If you would like to build a good foundation, it is a great tool to build good stabilizers and improve posture. If you already love exercising and train regularly, this might be just the tool you were looking for to mix it up and add a different challenge to your week. With just a slight change in position the intensity of the training changes completely. Someone who never really exercised, regular gym enthusiasts, cyclists, runners, bodybuilders…everyone can join the same class and gain maximum benefit. The workout will be as challenging as you modify it. After a warm up you will go through different rounds of exercises and finish with some stretching. Each round will consist of upper body, lower body and stabilizing exercises. The speed and intensity will be up to your liking that day. You will be shown the adjustments to make each exercise harder or easier, so you can make slight adjustments according to your needs. Following the instructions and using the right techniques will give you a good sense for your body and safe guide through the exercises. You will leave the class having worked your stabilizing muscles and the whole body. 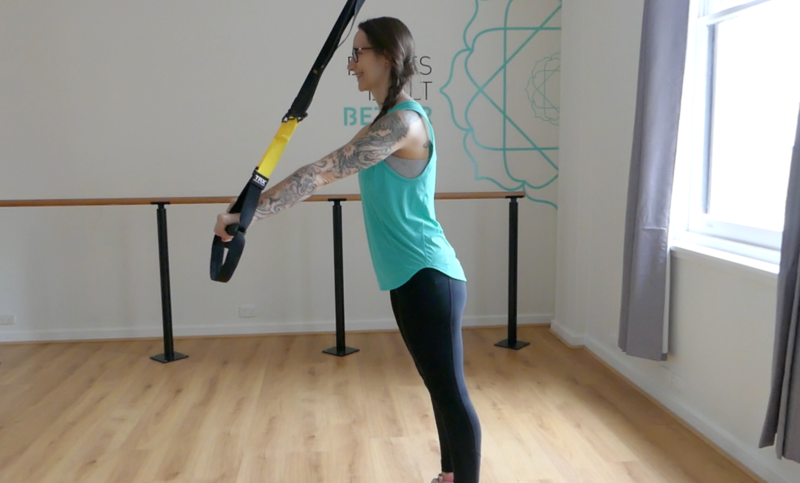 Still unsure if TRX Training is right for you? 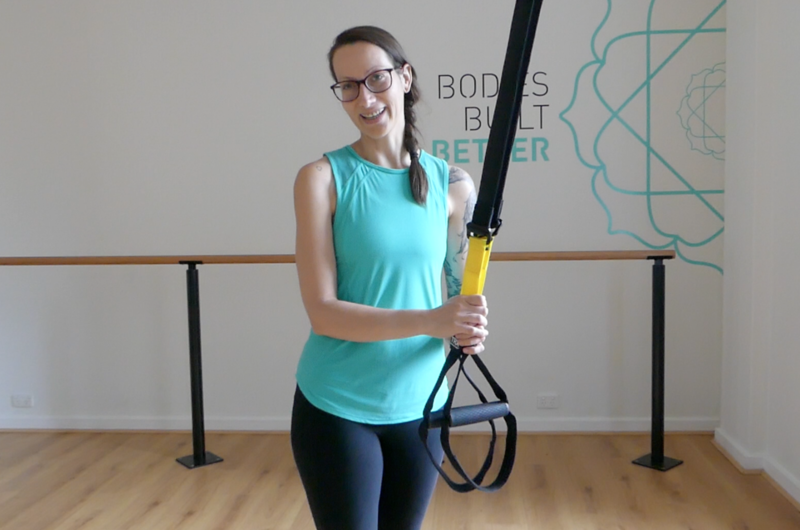 Check out this video where Jana explains the basics of TRX Training and why it’s suitable for all levels. Come sign up for a class and let me give you the tools how to use gravity and movement to adjust your training. You will be in charge of the intensity and can create the challenge just right for you. Book a class here and experience the difference.